This Archimom just wrapped up construction for the “project of her lifetime”, Crestavilla. Long days, late night, site visits when it was raining, or too hot, or too cold… small wins, frustrations, and every day Construction Administration for the past couple of years ended on a beautiful note… Grand opening is still a week away, but today needs to be documented as the day we finished the project. 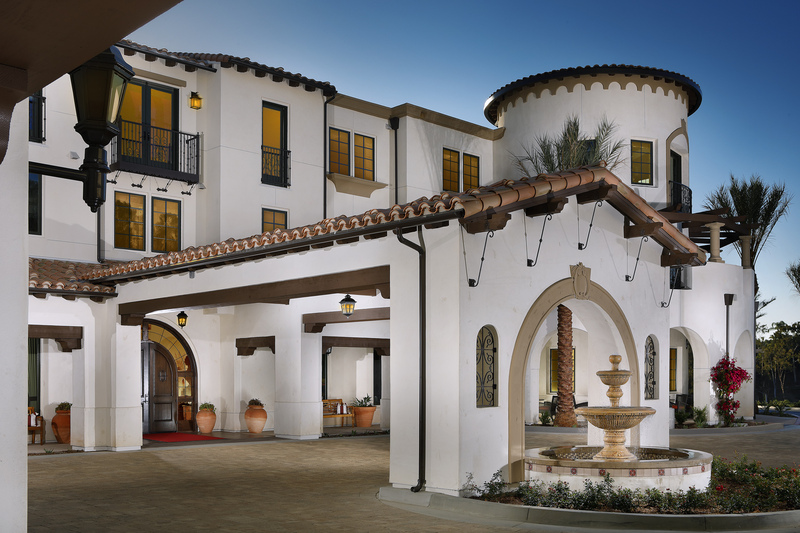 This Spanish Colonial Revival style Senior Housing (RCFE) solution combines life’s necessities, conveniences and luxuries under one roof by utilizing site conditions and building orientation. Sustainability, aesthetics and accessibility define triangular design of the all-inclusive building with interconnecting fins to create a holistic community for memory-care, assisted and independent living. Memory-care with associated dining, gathering and activity area assures safety of the residents through dedicated sunken courtyard encompassing the spaces with retaining wall on the hillside. Assisted and independent living spaces are located on the upper floors, between first and fourth-floor common areas. Common area spaces are designed to stimulate five senses of the residents, based on “wellness atmosphere principles”. Diverse accessible amenities including commercial kitchen, bakery and bistro, restaurant-style dining halls, movie theaters, gathering rooms, classrooms, indoor/outdoor fitness centers, grand kids game-room with play-area, rooftop deck with catering kitchen, lounges, bar/pub, art-studio including pottery kiln, sun room, raised hydroponic community garden with green house add to the resident experience. Arched arcades and courtyards with fireplaces, and cabanas provide shaded exterior gather areas. Stucco exterior is punctuated by gray inset medallions, dark wood corbels, rafter tails, shutters and trims. Clay roof-tile with mud stops adds to the authentic design elements.